This week marks the start of a loose kind of attempt at structure. 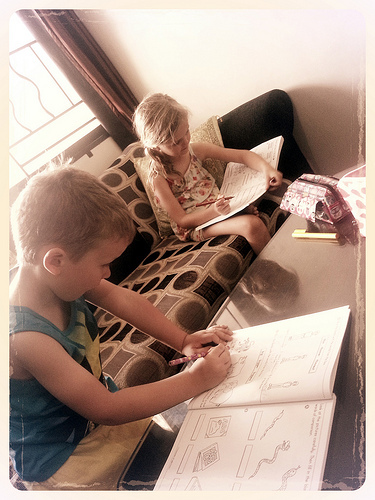 School is a fluid concept while we're away, with the main focus being on life skills. Reading signs, counting money, telling time. This flexible syllabus also includes drawing classes, tagalog language practise, activity books, social graces (meeting the neighbours) and story writing. I've decided rather than run a separate space to put the kids work up I will splice them in with my ramblings as it turns out there is plenty to write about and maintaining one blog is more than enough for me.